Chivas Regal has a special place in the hearts – and liquor cabinets – of the modern man. Whether by chance or by design, Chivas Regal stands as the Scotch whisky of choice for the rogue intellectual; the man who takes time to enjoy the finer things in life; the man who’s instincts and curiosities take him to places others cannot even begin to fathom, let alone dream about; a man who’s success in life is based on more than just the size of his bank account; simply put, the ‘modern man’. Whisky shines as a drink to savour, to appreciate and to truly indulge in – something that globally enjoyed Scotch whisky, Chivas Regal, has stood for since its founders, the Chivas Brothers, begun their journey in 19th century Aberdeen, from a small luxury goods store. The magic all happened from a then modest distillery in the Highlands of Scotland. Founded in 1786, Strathisla Distillery is one of the oldest functioning facilities of its kind in Scotland and Strathisla single malt is still used for the Chivas Regal blend. As Chivas Brothers grew to fame – even receiving a royal warrant to be a supplier for the British Royal Family – the pursuit for the smoothest blend eventually led to the birth of Chivas Regal in 1909. Originally conceived to satisfy an increasing demand for luxury goods in early 20th century America, Chivas Regal quickly became a favourite amongst the affluent, before the prohibition era of the 1920s. 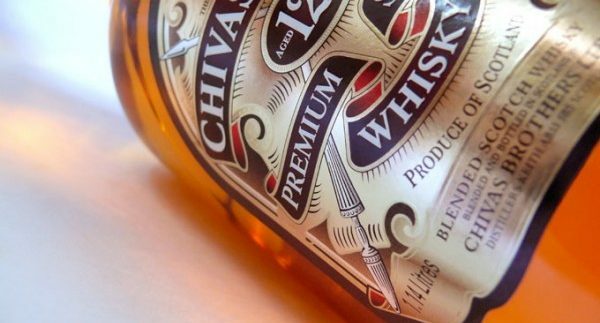 A post World War II resurgence reinstated the drink’s status as one of the elite luxury spirits and the Chivas Regal name has retained a timeless quality that still very much exists today. Unlike so many spirits of its kind, Chivas Regal has come to hold a standing in mainstream culture like no other whisky; fans of hit TV drama, Mad Men, and offbeat comedy series, Boston Legal, might have noticed a few cameos by the brand – even Tom Waits fans might have heard the singer-songwriter salute Chivas Regal in 1980 song, Downtown. But even taking that into account, along with consistent accolades from international spirit ratings competitions, the biggest tribute to Chivas Regal lays in the fact that it continues to be shared and enjoyed the world over.